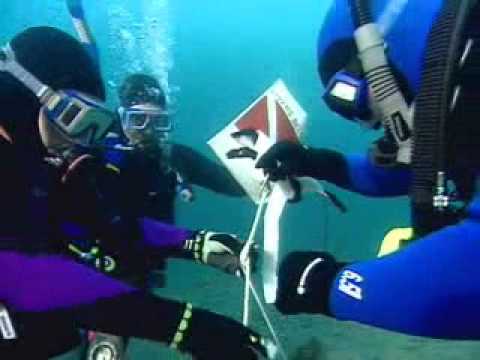 RESCUE DIVER Prevent Problems And Manage Them If They Occur. "Challenging" and "rewarding" best describe the PADI Rescue Diver course. This course expands on making you aware of how to manage problems in the water and become more confident in your skills as a diver, knowing that you can help others if needed. During the course you will learn how to become a better buddy while practicing problem solving skills until they become second nature. PADI (Junior) Adventure Divers who are at least 12 years old and have completed the Underwater Navigation Adventure Dive may enroll in a Rescue Diver Course. You also need to have Emergency First Response Primary and Secondary Care (CPR and First Aid) training within the past 24 months. You can complete this training during the Rescue Diver Course. Your instructor may offer the PADI Emergency Oxygen Provider specialty diver course at the same time. Register for Rescue Diver Online - PADI's eLearning option to start now. You progress through five knowledge development sections using a web-based system that lets you learn at your own pace through an easy-to-use, interactive program. You also have access to an online version of the Rescue Diver Manual for reference during and after the course. If you prefer, you can choose to study with the Rescue Diver Manual and watch the Rescue Diver DVD. Come to Aquatic Dreams Scuba Center to enroll in the course, get your materials and start learning. Your PADI Instructor will meet with you to schedule knowledge review sessions along with your rescue exercises and scenarios. Contact Aquatic Dreams at (209) 577-3483 to get signed up.